It’s been 2 years in the making as George Fitzgerald finally releases his long anticipated full-length debut ‘Fading Love’. 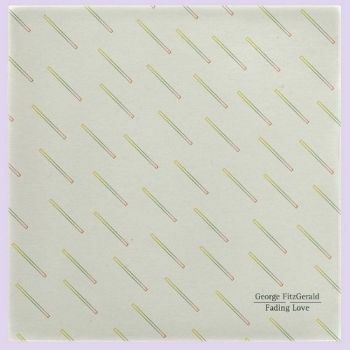 It’s an album born out of increasing feelings of distance and alienation towards, what Fitzgerald thought was, a stagnating period of ‘one-dimensional records’ in the genre of “dance” (air quotes included) – ‘Everyone does a pill and is in love, then just goes home and real life resumes’, says Fitzgerald. This running in parallel to his own real life struggles – this is what the record captures. Originally born from a studio in Ibiza rented between DJ sets, the album was eventually recorded between London and Fitzgerald’s adopted home of Berlin. It’s a thoughtful opening to the record with ‘About Time’ slowly building over breezing synths – Boxed In’s Oli Baston providing the vocals, as he does on the albums second track and lead single ‘Full Circle’. The laid back opening to the album is maybe somewhat of a shock or a step away from the club ready dance tracks Fitzgerald has become somewhat bored of, but not an unpleasant one. The first 2 tracks slowly build, well crafted, into the sharper, more dance floor ready ‘Knife To The Heart’. Hi-hats splash over the quicker beats and the keys strike through like, well, a knife to the heart. The variety on the album is notable, with the styles changing track-by-track, ‘Beginning at the End’ has the build older than its years, reminiscent of early 90’s dance scene while ‘Shards’ has a darker feel than anything else. Lawrence Hook’s guest vocal on “Crystallise’ loops through the song as the vocal delivery and the lyrics are as thought out as anything else on the album. His vocals again appear on the album closer ‘The Waiting’, taking centre stage over a slow electro beat and swirling synth keys – ‘and I’ve been waiting for too long, too long, too long for you’ he sings in the chorus, in what is a loose nod to the length of time we’ve waited for this album. The wide pallet Fitzgerald experiments with on the album is certainly a strength, as the album develops throughout and tends not to stay in one place for too long. It keeps moving and changing, exactly polar to Fitzgerald’s feelings towards his stagnant period. He seems to have found life outside of a club; a million miles away from the dance floors and 24 hour love affairs. Instead he has variety, to go alongside something resembling normality.